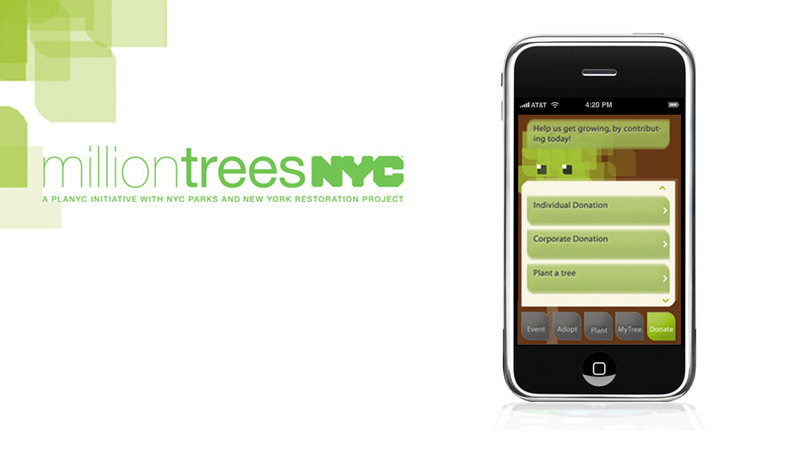 MillionTreesNYC has planted almost 250,000 trees since its launch. This application helps the organisation come closer to their ambitious goal: to plant and care for one million new trees in the next decade. 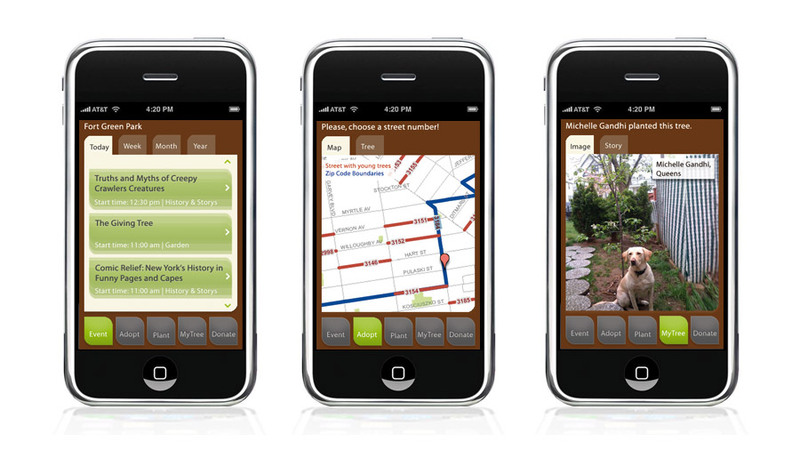 With the help of GPS the user gets in direct contact with the trees. 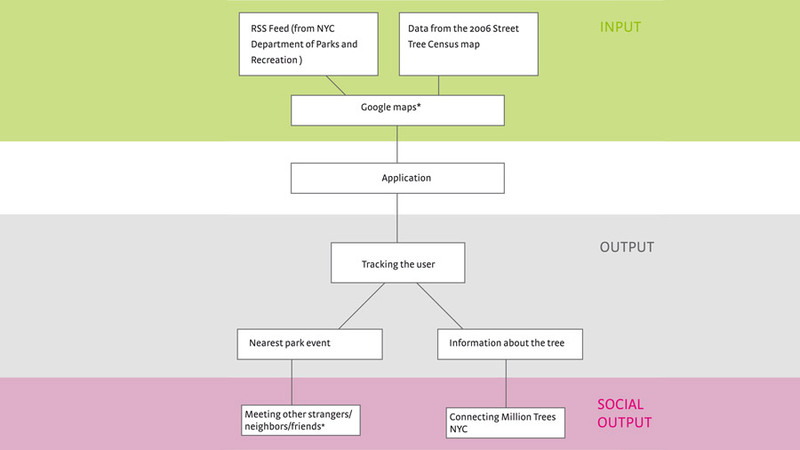 By adopting a tree the user gets in exchange information about near park events from the trees. With those messages the user gets subtle reminded that there are trees that can be adopted, plant or donated to. 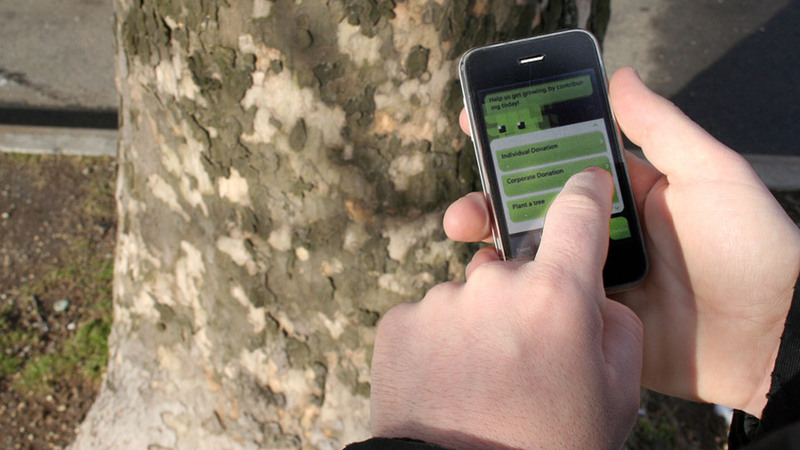 This application is a playful way to go out into the green and “talk” to trees.